Tom Brady is a Super Bowl champion and Super Bowl MVP again after Sunday night’s heart-stopping 28-24 win over the Seattle Seahawks. As usual for Brady, it didn’t come easy in the big game. After leading the Patriots to four-point advantage with just over two minutes remaining, Brady watched as Jermaine Kearse played the role of David Tyree to make a juggling circus catch in Glendale, Arizona to seemingly prevent the Pats from grabbing another Super Bowl. However, help was on the way in two forms. Seattle did not want Brady and the Pats offense to get the ball back with any time left on the clock.They wanted to call a pass play on second down to setup their third and fourth down options (at least, this is how Pete Carroll is spinning it). What came to follow will be easily one of the most famous plays in Super Bowl history. Malcolm Butler stepped in front of a Russell Wilson pass to end Seattle’s dreams of repeating as Super Bowl champions. Color Touchdown Tommy a happy man. 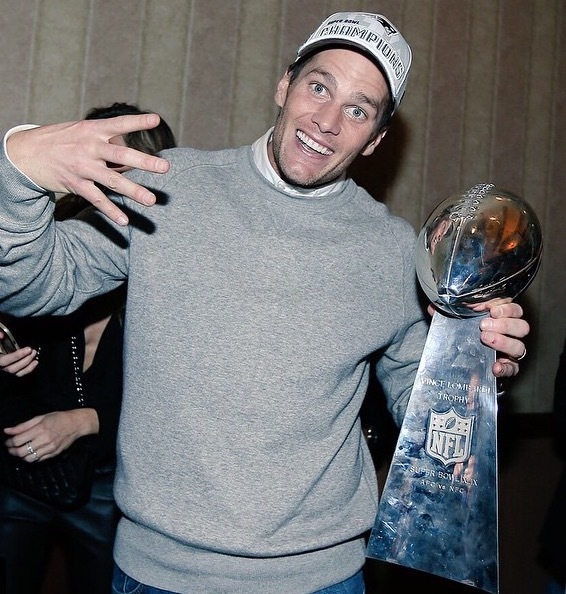 Tom Brady is arguably the greatest quarterback of all-time. Yet, let this be a lesson to all of you football fans. The success or lack thereof by a quarterback is often dictated by factors he cannot control. The playmaking ability of an undrafted rookie from Division II school West Alabama is certainly one of them. Right or wrong, it’s a ‘what have you done for me lately’ society. Brady didn’t deserve to have his legacy determined by a fluke play by David Tyree, a once in a lifetime throw by Eli Manning, and someone allegedly deflating footballs. As he showed Sunday night, the three-time Super Bowl MVP faced the mighty Legion of Boom head on and came away with a fourth Super Bowl ring. Unlike the two previous Giants Super Bowls, he had help from an unlikely source when it mattered most.